There are so many reasons why you should love at-home exercises. First, you can do them in the privacy of your own home. Second, who cares if your legs aren’t shaved and you’re a sweaty mess? Third, you can watch TV whilst doing them. Finally, it’s free and easy to do. Working out at home is a great idea for just about anyone because it can be flexible in the time that you perform them and you just need limited equipment or no equipment at all. One of the most hated and hardest fats to lose is the love handles and a very problematic area for most women. What are love handles? 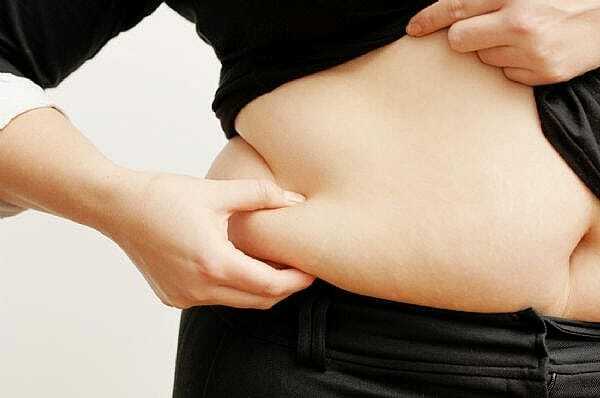 Love handles are nothing but accumulation of larger amount of body fat percentage around your abdominal area and most of us can pinch our belly fat from front, back and sides. If you have higher amount of body fat percentage, you are going to have bigger love handles and if you have lesser amount of body fat percentage, you are going to have lesser amount of accumulation around your abdominal area. If your body fat is close to 32- 35% then you’re going to see visible or larger love handles but if your body fat is below 10%, then you will not see any love handles. This is perfect for warm ups. All you have to do is just extend one arm up and crunch to the side. 30 seconds on both sides. Sit on your bottom with your knees bent and your feet flat on the ground. You can hold a dumbbell or anything that has weight in your hand. Lift your feet off the ground and cross them at the ankles. Twist to the right and touch the ground next to your hip with the weight or your hand. Twist back to your left and do the same.